Raffle: Cloudfone Next Infinity with 18:9 screen! 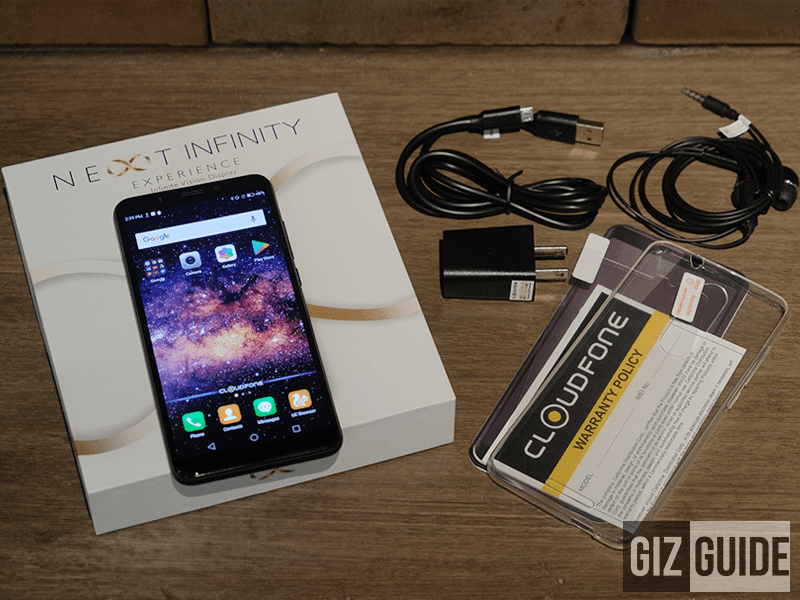 Home / cloudfone / mobile / raffle / Raffle: Cloudfone Next Infinity with 18:9 screen! As promised! Cloudfone together with team GIZGUIDE is giving away a brand new Cloudfone Next Infinity smartphone to one lucky raffle winner this Christmas! In case you missed it, the Cloudfone Next Infinity at PHP 7K is currently the most affordable smartphone in the country with the trendy and sleek 18:9 screen aspect ratio. It means that even if it has a 5.7-inch HD+ screen, the phone feels just like a 5.2-inch small phone to hold. It also has narrow side, top, and bottom bezels. In addition, this smartphone is also a photography centric device on a budget. It has a nice type of 13MP main shooter with PDAF focus and LED flash. For selfies, it boasts one of the best selfie phones for the price, a 16MP shooter with portrait mode and LED flash.